The Chair of the Grants and Research Committee of the Historical Society of the Episcopal Church, the Rev. Dr. Robert Tobin, invites applications for Grants and Prizes to be awarded in 2019. Grants and awards are made to help meet one of the Society’s objectives: promotion of the preservation of the particular heritage of the Episcopal Church and its antecedents. Award recipients are expected to make an appropriate submission to the Society’s journal, Anglican and Episcopal History. Applications for a general grant may come from individuals as well as academic and ecclesiastical groups. Requests are received that will support significant research, conferences, and publication relating to the history of the Episcopal Church as well as the Anglican church in the worldwide Anglican Communion. A typical request may include funding for travel to visit archives or other resources, dissertation research, or seed money or support for a larger project. Examples of past awards funded include support of documentary films, dissertation research, publication of books and articles, support for a history conference and other purposes. Awards funded are usually generally $500-$2,000, depending on the number of awards approved and amount of funds available. 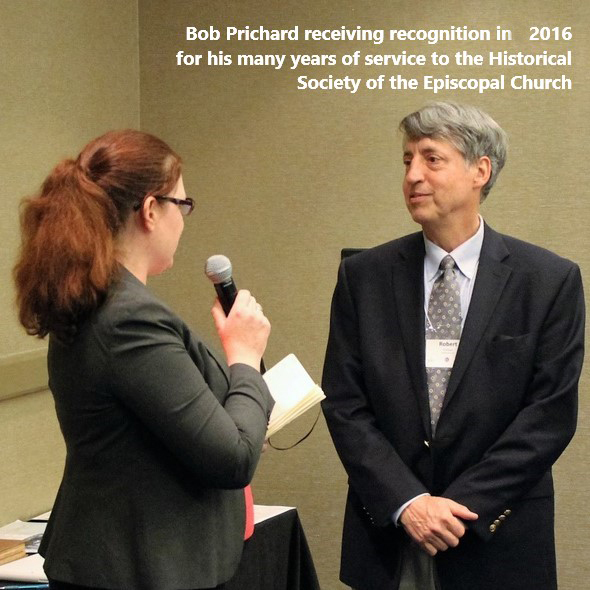 The Society is pleased to announce the inaugural Robert W. Prichard Prize. It’s purpose is to recognize the best Ph.D., Th.D., or D.Phil. dissertation which has considered the history of the Episcopal Church (including 17th and 18th century British colonies that became the United States) as well as the Anglican church in the worldwide Anglican Communion. The prize is named to honor the Rev. Dr. Robert W. Prichard, a longtime board member and president of the Society and a noted historian and author in the discipline. Applicants are invited to submit a dissertation for consideration which was successfully defended between January 1, 2016 and December 31, 2018. It may be submitted by the author or on the author’s behalf. The dissertation need not focus solely or even principally on the history of the Episcopal Church or Anglicanism. The selection committee welcomes dissertations which place that history in conjunction with other strands of church history, or even place it in dialogue with non-ecclesial themes of American history. The Episcopal or Anglican element of the work should be a constitutive, not peripheral, part of the dissertation. Submissions should be a full electronic version of the dissertation, complete with all scholarly apparatus. The recipient of the prize will be announced in July and receive $2000. GENERAL GRANT — submit with materials attached (.PDF preferred) to the Rev. Dr. Robert Tobin, Grants Chair, vicar@stmarybalham.org.uk. ROBERT W. PRICHARD PRIZE — submit with materials attached (.PDF preferred) to the Rev. Dr. Lauren Winner, at prichard.prize.hsec@gmail.com. If materials are too large for one email, send in multiple emails or contact the recipient for transfer options. If you have difficulties, contact the Director of Operations, administration@hsec.us. At least two (2) letters of recommendation or support from those familiar with the proposer and project (for a graduate student, one from the main supervising professor expected). Certification of a successful defense between January 1, 2016 and December 31, 2018. A letter from the committee chair or member would suffice. 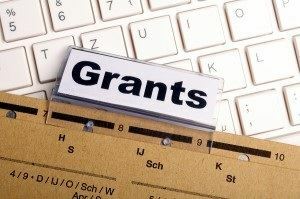 Grant and Award recipients must return a Grant Acceptance Form before funds are released. The form details requirements (including a W-9 or other documentation), attribution in any publication drawn upon the project supported, submission of a report of accomplishments, and gives permission for the Society to publish recipients' names and titles of research or projects. It is expected recipients will make submission to Anglican and Episcopal History, when appropriate. A 1099 will be provided at the end of the tax year as grants may be taxable. Consult with your tax advisor. The Historical Society of the Episcopal Church is pleased to announce its 2018 grant awards. Applications received were reviewed by a committee, with recipients determined by the Board of Directors at their meeting in June at Virginia Theological Seminary. $13,000 in grants were awarded. The Rev. Dr. Robert Tobin, Chair of the Grants Committee, announced recipients from the applications received. Grants support scholars in significant research and publications related to the history of the Episcopal Church and the Anglican Communion. Recipients are encouraged to publish, when appropriate, in Anglican and Episcopal History, the quarterly academic journal of the Society. Pusey House Library, Oxford, England — towards the electronic cataloguing of its collection, specifically those volumes about the history of the Episcopal Church and the Church of England in the eighteenth century. Chrissy Yee Lau, Assistant Professor in Humanities at Texas A&M University — Corpus Christi, to undertake two research trips and present at the 2019 Tri-History Conference, as part of her work on the role of the Japanese Episcopal Mission in Los Angeles during the 1920s. Russell M. Lawson, Professor of History at Bacone College, Muskogee, Oklahoma — to pursue research at the Massachusetts Historical Society in Boston as part of a project investigating the intellectual relationship between C17 scientist Robert Boyle and New England cleric John Eliot. John E. Magerus, Archivist of the James DeKoven Center in Racine, Wisconsin — to investigate primary material about the family and early life of James DeKoven at archives in Connecticut, as part of a projected biography. The Episcopal Center for Children, Washington, DC — towards organizing, cataloguing, and digitizing its archives. This project is undertaken as part of the Center’s 125th anniversary celebrations coming up in 2019. John Saillant, Professor of English and History at Western Michigan University at Kalamazoo, Michigan — to pursue research into African-American Episcopalianism in Rhode Island at the Rhode Island Historical Society in Providence. Dedicated to preserving and disseminating information about the history of the Episcopal Church and its antecedents. A 501(c)3 not-for-profit organization established for educational, charitable and religious purposes.